Join us as we head to four venues, across four hours with a beverage package included into the ticket price! Buy your tickets today as this event is sure to sell out! *Please note this is an 18+ Event only. 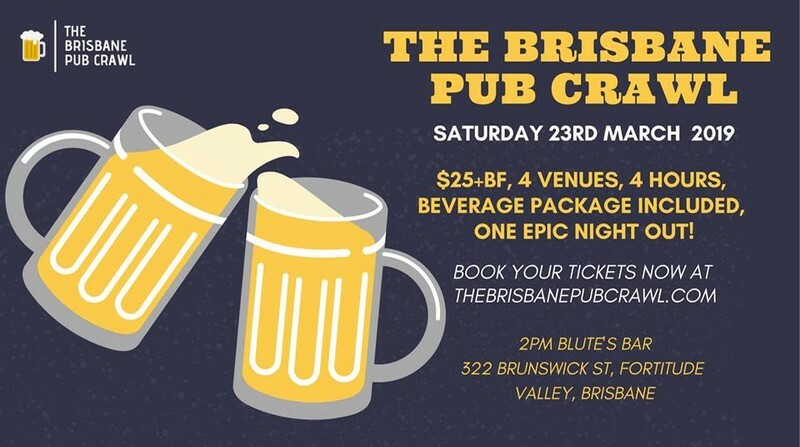 Security guards will be present on the day of the event, provided by The Brisbane Pub Crawl and venues involved and all ticket holders I.D's will be checked. If you are unduly intoxicated before or during the event, in compliance with QLD liquor laws you will not be allowed into any of the licensed venues and you will not receive a refund for your ticket. Our aim is to have a safe afternoon/night out, embracing some of Brisbane's best venues.